Now that my pictures from yesterday have uploaded, I can share with you the pictures from the cathedral in Fulda, where Saint Boniface is buried. 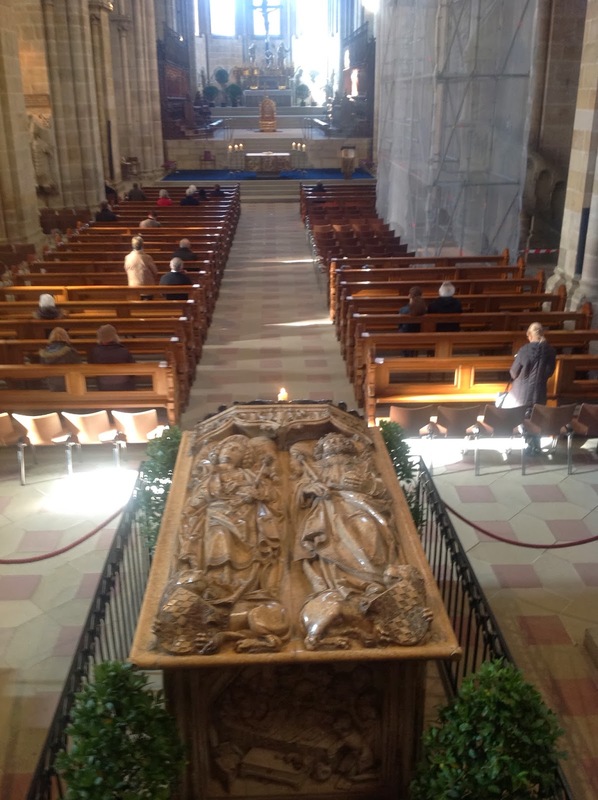 Then I'll tell you about this morning's visit to Bamberg Cathedral, and the tomb of the Emperor Henry and Empress Cunigunde. By the way, for those who may be interested -- my travels have involved a fair amount of driving across the southern half of Germany. I began in Frankfurt (at the airport), in Hesse; then Koblenz, in the Rhineland-Palatinate. Then to Aachen and Cologne, in the North Rhine-Westphalia. From there I drove to Marburg, back in Hesse. 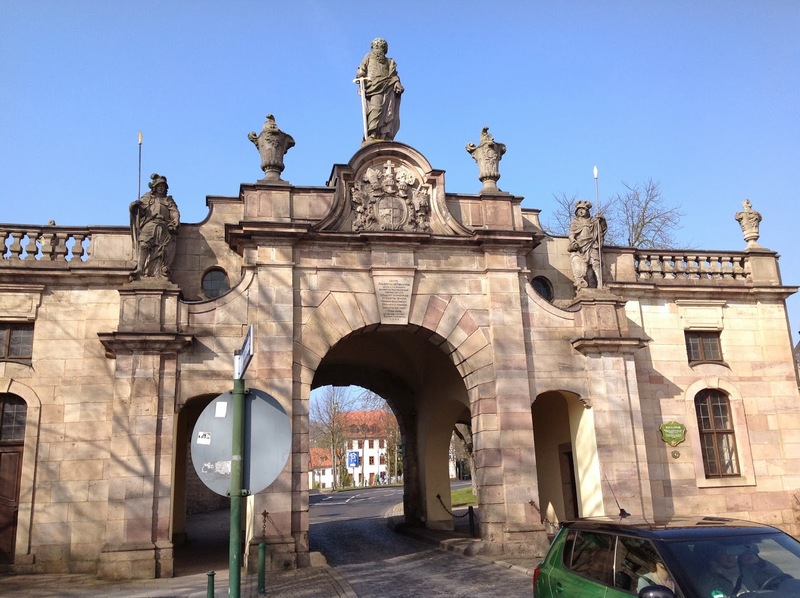 And when I came to Fulda, and then Bamberg, yesterday, that brought me to Bavaria. Tonight I'm in Munich, in the heart of Bavaria. 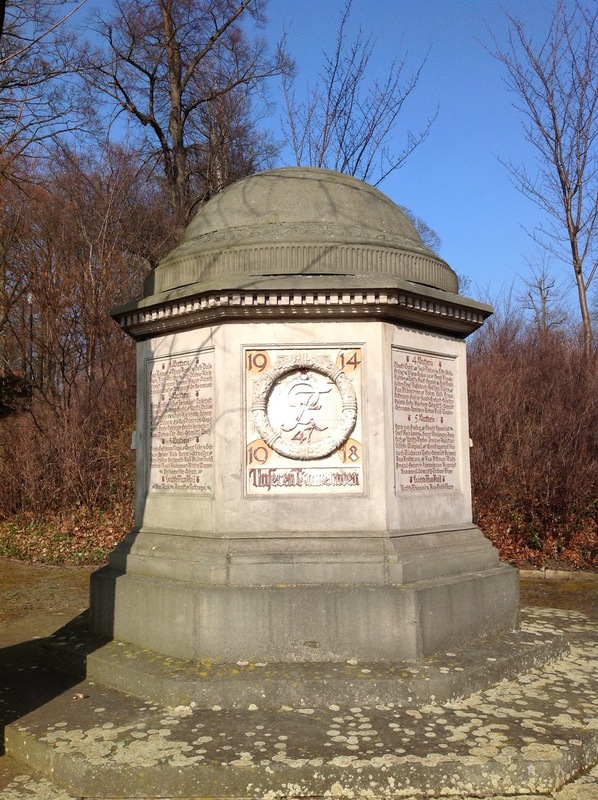 Now, I might mention here that when, in anticipation of this trip, I looked to see just where Saint Boniface's body was, when I saw Fulda, another association came to mind: the "Fulda Gap." You see, for much of my life, the area where I am now was the front line of the Cold War; the next state over, Thuringia, was part of East Germany. And back in the day, the Fulda Gap came up, from time to time, because if the Soviets and their Eastern Bloc "allies" ever launched an invasion, it was expected through the gap. Well, thanks be to God, those days are behind us; all those armies are gone and Germany is reunited. Meanwhile, Boniface's bones are still here in Fulda for the faithful to venerate. So to Fulda I came. Now, for those who have visited Rome, you've noticed, no doubt, that the Baroque period in church architecture coincided with a fair amount of energy, money and opportunity in Rome for church building and renovation. 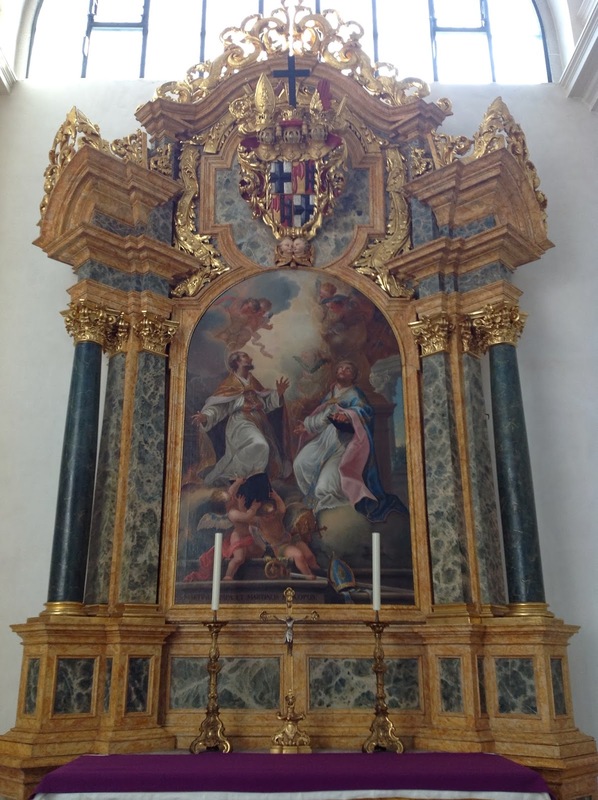 As a result, if you visit a lot of Roman churches, you're going to get kind of tired of Baroque. 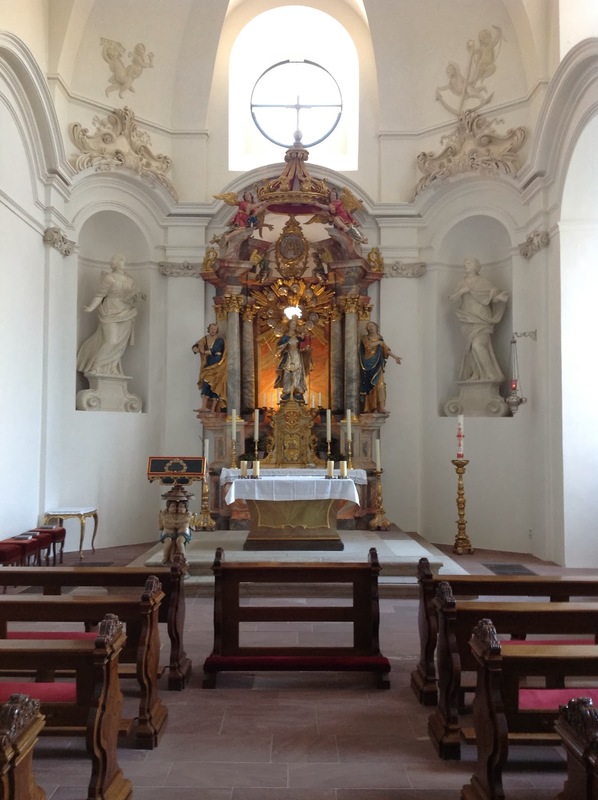 Well, the Cathedral of Christ our Savior in Fulda is Baroque -- but with a lightness and delicacy that I've seen only in images of German and Austrian churches. And this was the first time I saw it in person. 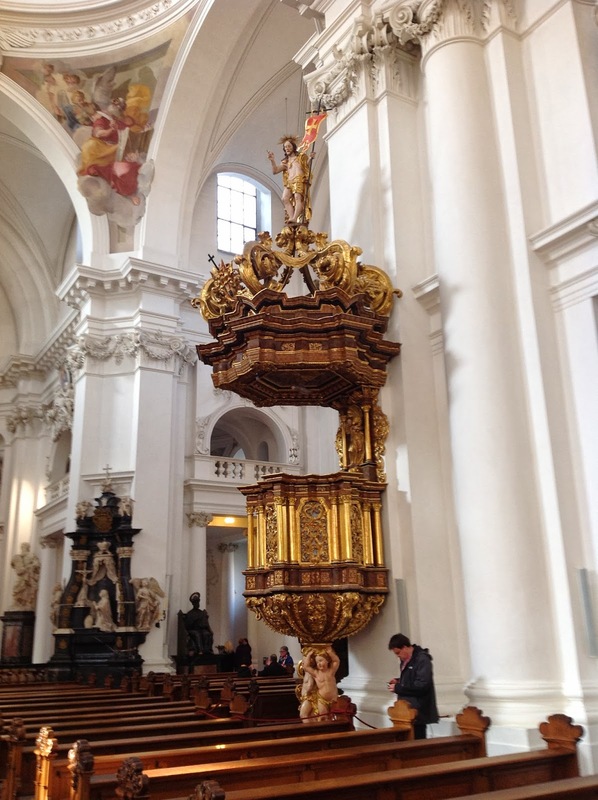 How about this for a pulpit? Now, this was a shrine, like Cologne, that I was straining to visit. I was pastor of Saint Boniface Church in Piqua, and one of the ideas I had was to combine with the other Saint Boniface Parish in Cincinnati, and the Saint Henry Parishes in the diocese, and have a pilgrimage to these very places. Alas, it never happened. But now I've made it on my own. Now, this will sound funny, but when you drive into these towns, there aren't big signs in front of the churches telling you what churches they are. Plus, there are lots of really stately, churchy buildings in a lot of these towns. Which one is the place I want? So when I walked inside, I wasn't entirely sure this was it. So I asked a fellow, "ist Heilege Boniface hier?" He nodded, "ja"! And led me to the crypt. Alas, it was closed! While he went to see if he had a pamphlet in English (he didn't), I peaked past the tarp over the entrance; I could see lots of scaffolding. So I didn't bother trying to wheedle my way in. Even so, I still offered my prayers at Saint Boniface's tomb -- even if I didn't get right there! 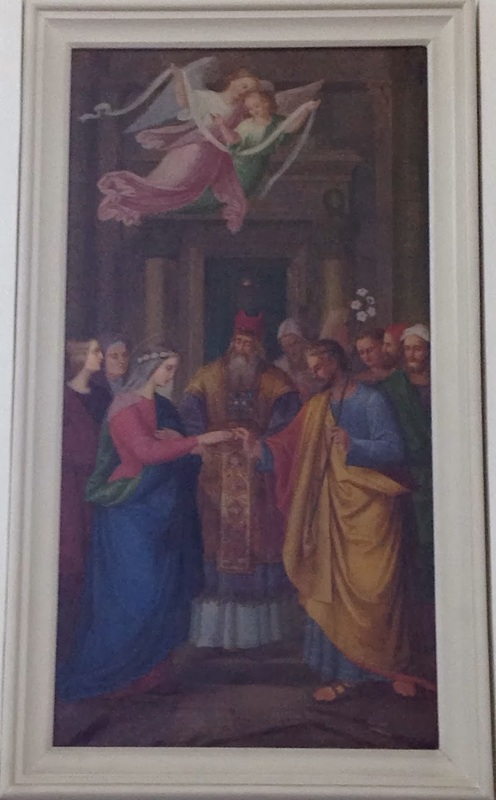 I may be wrong, but I'm betting that's the marriage of Mary and Joseph! Isn't that lovely? Now here's another curious image. It shows the (then) two Saint Martins together! Alas, my glorious patron is omitted: Saint Martin de Porres; however, had he been invited, he'd have been too humble to show up! Well, you get the idea. If you go here, you can read more about the church. I had hoped to see some images of the life of Boniface; perhaps they are in the crypt, which was closed. Also, once again, the "choir" area, behind the high altar, was also closed. As I left, I passed through this curious gate. It's called the "Paulustor," and I'm guessing that's the Apostle on top. I could find nothing about it on Wikipedia; if you know anything, feel free to mention it in the comments. It struck me that there's something very sad here. From here I drove to Bamberg, and in my last post, I told you about my crazy evening last night. Now let me tell you about my Sunday morning. That's Henry on the right, and Cunigunde on the left. I didn't get many good photos, mainly because I didn't have much time before Holy Mass, or after as it turned out. Here's Wikipedia's article, with some good pictures, as usual. But there was one moving sight I so wanted to get a picture of -- but I saw it as I was leaving, and the next holy Mass had begun. So I'll just have to describe it. 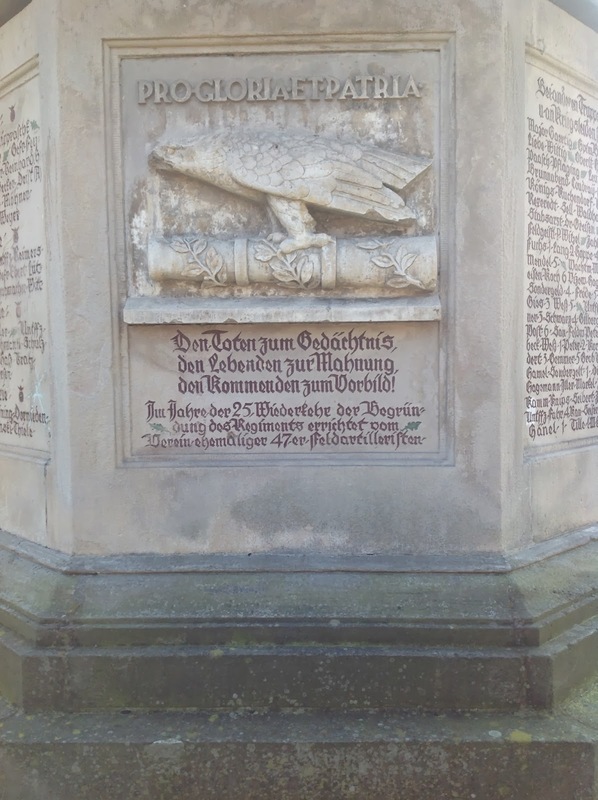 It said -- in German: "Saint Bonifacius, pray for the German diaspora." That means all the many Germans who have, over the centuries, gone far and wide through the world. That means us in America. With that touching thought, I leave you to enjoy the rest of your Lord's Day. Father, I was a high school history teacher in my varied careers. My favorite period of history is the cold war. I'm envious! Very interesting. One of the parishes I most frequent is St Cunegunda (sic?) here in Detroit. It is part of a two parish cluster. Most of the parishioners there now are Mexican or other Hispanic, but almost all of the dedicated stained glass windows are Polish names, or derivations there of. It is very small in congregation size, but is now without debt thanks to the parishioners and by the diligence of the pastor and his staff shared with the other cluster parish. It remains now a light shining in the darkness. Thanks for the history lesson relating to it. I'm so glad you got to go! It is a great church and area. I enjoy my visit - very quick. Did you make it in the museum that was next door (I think?)? Thanks for all the articles and pictures - they are really great! 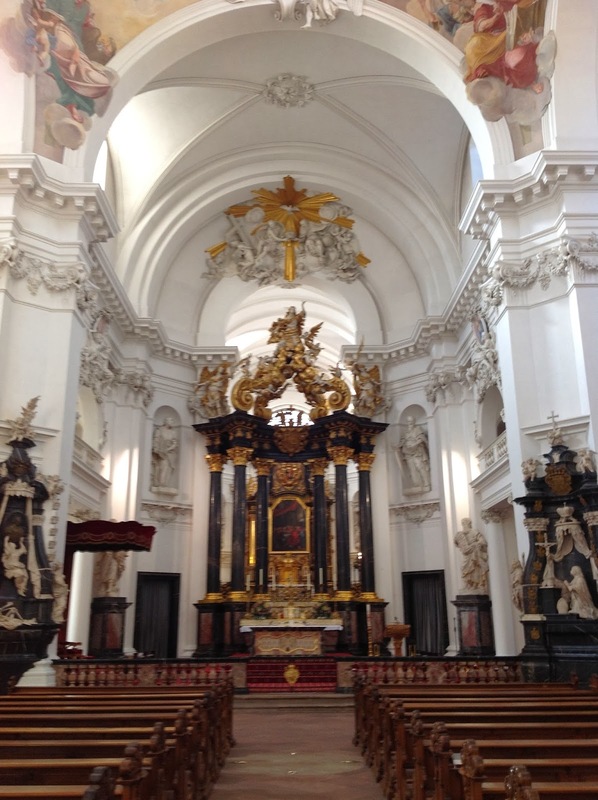 Cathedral of Christ our Savior in Fulda is beautiful. Thanks for sharing those pictures.